We make winning EASY - No Catch, No Spam, No BS. Just an outdoor newsletter with up to 2 chances to win each month! 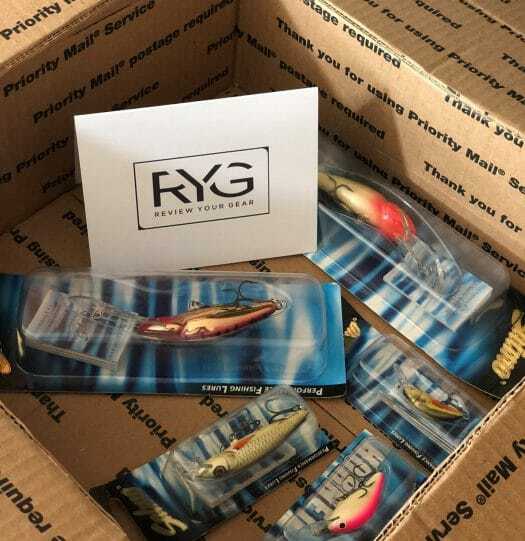 New Years and 1 Year RYG Anniversary FREE Fishing Lure GIVEAWAY! To celebrate the New Year and first full year at ReviewYourGear.com, we are doing a major FREE fishing lure giveaway! We have a PILE of free fishing lures, first aid kits, bait bucket nets, catfishing rigs, etc…..and it NEEDS a home! We cannot thank you guys enough for all of the support, followers, social media likes and shares, etc…….it helps us more than you know! SO PLEASE, keep doing what you are doing RYG faithful! As a token of our appreciation for you, we want to give not one, but TWO lucky winners a package of free fishing stuff shipped straight to your door. All you need to do is enter your email. Each winner will receive a random assortment of free fishing gear. WINNERS WILL BE DRAWN AT THE END OF THE MONTH. And PLEASE be sure to follow us on social media for the latest free gear giveaways! We REALLY appreciate all of your support! We would like to wish everyone the best of luck! We’ve got A LOT of great giveways planned in the near future. Don’t wait to see the winners on social media, signup to get in on the action. 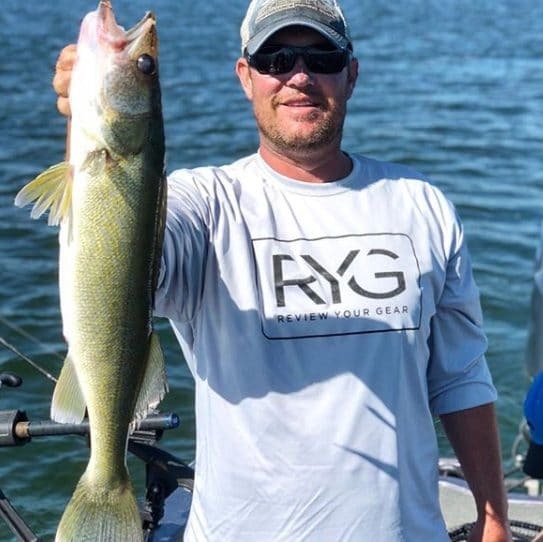 Review Your Gear, LLC is based out of Nebraska and North Dakota, founded in 2018 by James Watson and Chris Hustad. We’ve been fishing and hunting all our lives, and wanted to share our passion for the outdoors online. 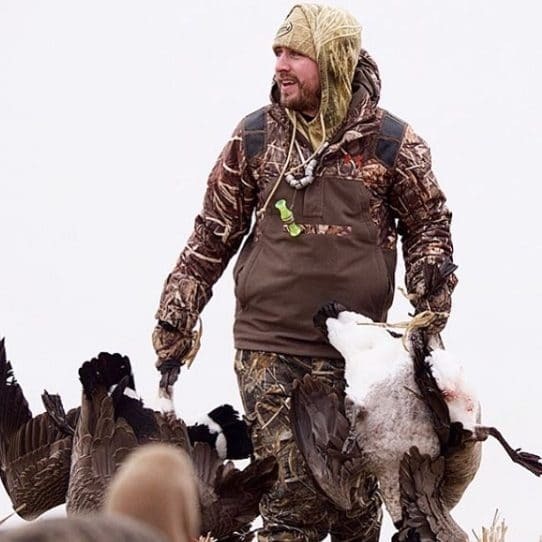 Chris has a long history of running hunting and fishing forums, and sold his network in 2013. James, a full-time registered nurse, has been an avid outdoorsman his entire life. Through his work he spent a considerable amount of time in North Dakota, capitalizing on all of it’s bountiful hunting and fishing opportunities. So with our experience and knowledge, we built ReviewYourGear.com, a fast-growing resource for EVERYTHING fishing and hunting. The site and idea behind the website was conceived in December of 2017 and soon after we were getting products for review. 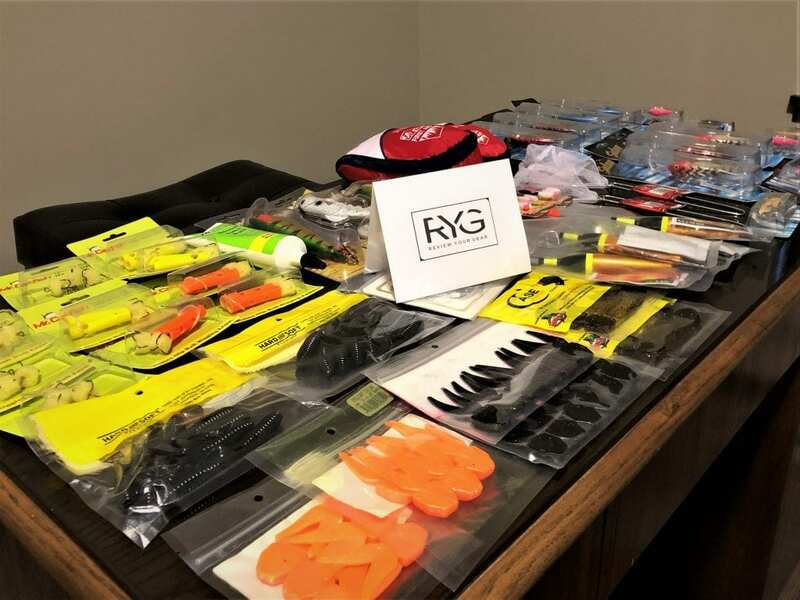 Soon after, we started piling up all of this fishing gear and figured we should give back to our readers and supporters of RYG! That’s what we’re doing, is giving away loads of FREE fishing stuff, with free shipping to your door. No catch. All we ask is that you check back from time to time, we really appreciate all of the support. 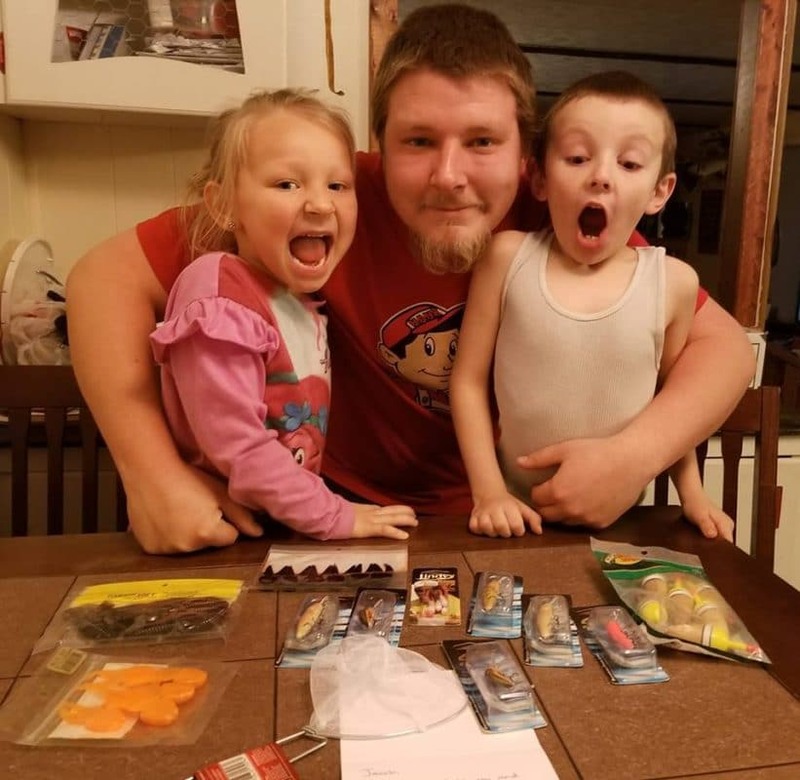 We’d like to thank you again for your support of Review Your Gear, and again, we’re simply giving back free fishing gear to some of those who support us! Welcome RYG family! How would you like to win FREE FISHING GEAR and other outdoor gear, mailed straight to your door? It’s really easy! Here at Review Your Gear, we’re constantly testing new hunting, fishing, and outdoor gear. This allows us with opportunities to do free fishing lure and outdoor product giveaways to our followers! The process is simple. Just enter your email into our FREE mailing list FULL of free fishing lures, tackle, you know…FREE fishing stuff! We are a USA company, based in the Midwest. We take your privacy SERIOUSLY, and WILL NOT sell your email address. We ONLY use it for giveaways, product reviews, fishing & hunting articles, etc. You know – outdoor stuff. We normally giveaway free fishing tackle at least ONCE A MONTH, during the season, A LOT more! It all depends on what we have on hand, and what we’re field testing. What kind of free fishing gear are we talking??? GOOD STUFF, like bass fishing lures, walleye lures, panfish, crappies, saltwater, you name it…we’ll give it away! You can unsubscribe to our fishing newsletter at ANY time…and we will not SPAM you. We just love what we do and like sharing our knowledge and FREE fishing lures with you. The fishing baits we giveaway should catch fish, and if they don’t…well that’s all on you! (just kidding) But seriously, our free stuff just requires a simple email address. So share with your family and friends and take advantage of these free fishing gear opportunities! We would love to see your hunting and fishing photos! Email us some of your favorites and be entered to win an assortment of free fishing lures, shipped to your door. Winner will also be feature on our social media! Congratulations to our winner, James, from Wisconsin! Awesome picture and awesome fish! James was part of our “email exclusive” free fishing gear giveaway. Contestants were asked to send us their favorite fishing photo to be entered to win. 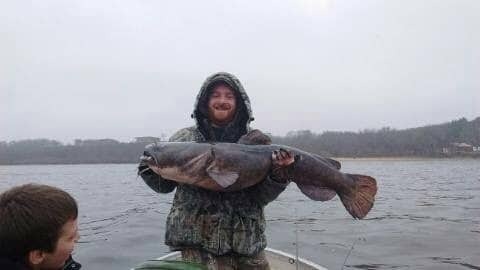 James stated that he likes to fish for catfish, musky, walleye, bass, and panfish. We try to personalize our giveaways of free fishing stuff to match the type of fishing you do! Congrats and good luck fishing! Thanks for the photos! Latest From Our Facebook Page! Congrats to our winner, Jacob from Minnesota! This picture was sent to us by Jacob, the smiles say it all! Thank you all for your support. Make sure to sign up for our email if you want to be included in future GIVEAWAYS for free fishing lures and free outdoor gear! Head on over to our FACEBOOK page to check out our current free fishing lure giveaway going on. This weekend ONLY! 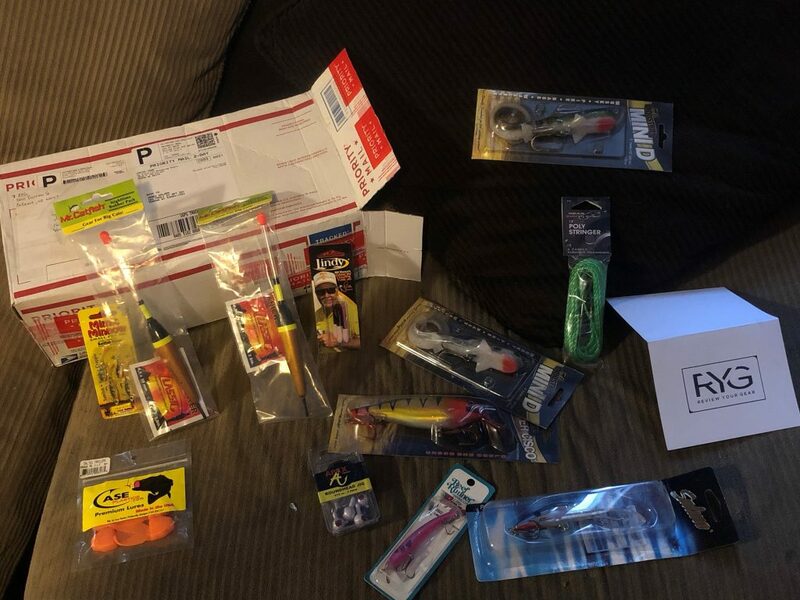 Giveaway ends Sunday January 13, 2019 at midnight, free fishing lures mailed to you on Monday! Gonna try something new this week. Like and tag a buddy or share this post to be entered to win an assortment of fishing lures! This weekend only. One entry per person. You must “like” our page or I cannot see if you shared the post! Follow our page to get these updates in the future! Lots to give away.